The port of Ensenada, Mexico is the second most visited port for cruise ship passengers on a Mexico bound itinerary. This makes Ensenada a very busy destination and it is important that you book your shore excursion with plenty of time to guarantee availability. Because your time is limited you can rest assured that your private charter boat and crew will be ready and waiting for you as soon as your cruise ship allows you to disembark. Our company has been a family run business for over 50 years and is a name you can trust. We now support online bookings, but we are always happy to answer your phone calls and help you book the best trip that fits your needs. When you book directly with us, you are guaranteed our best price for your trip, not an overcharged price used by shore excursion wholesalers. Climb aboard and we will give you the best fishing experience that Ensenada has to offer! If you would like to have a non-smoking trip please make the request with a comment when booking the trip. Our 6 passenger Cabin Cruiser 32' x 12' vessels powered by twin GMC Detroit diesel engines. Our 8 passenger Cabin Cruiser 35' x 12' vessels powered by twin CUMMINS diesel engines. Our 12 passenger Cabin Cruiser 50’ x 16’ vessels powered by dual diesel engines. 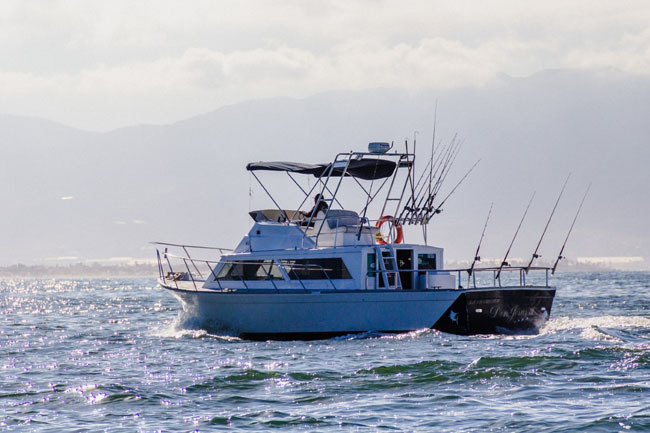 The best way to enjoy a day of fishing in Ensenada is by getting your own private charter, this way you know that the crew onboard centers their attention exclusively on your group. We have an excellent fleet of smaller craft to accommodate groups from 6 to 12 passengers choose the best size boat for your family or friends. 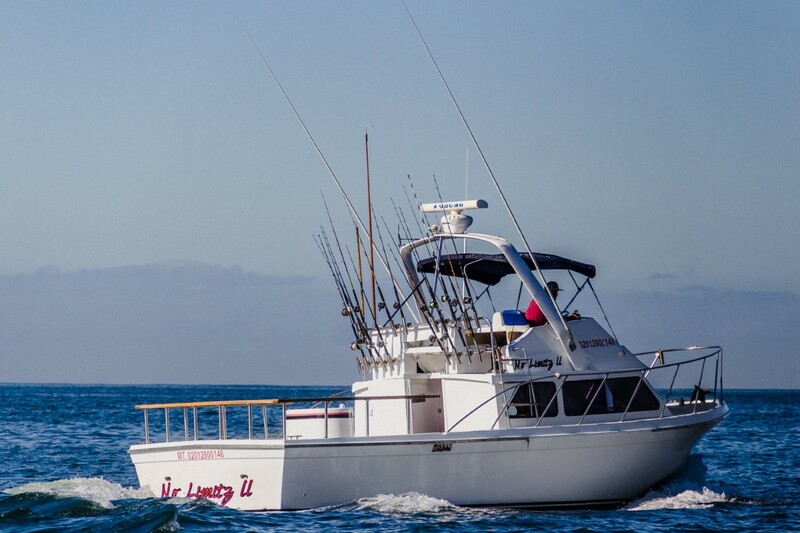 The package consists of a private charter aboard a sportfisher cabin cruiser equipped with radar, VHF marine radio, GPS positioning system, fish finder, inside seating, bunks, restroom and knowledgeable bilingual crew. Also included all fishing tackle and bait trip departs at 9:00 a.m. and returns at 3:00 p.m. at docks. The hours for this package can be changed depending on your ship’s port schedule please submit adjusted hours. The total cost for the 6 passengers package is $350.00 USD on weekdays (Monday through Friday) and $450.00 USD on weekends (Saturday or Sunday). The total cost for the 8 passengers package is $450.00 USD on weekdays and $550.00 USD on weekends. The total cost for the 12 passengers package is $600.00 USD on weekdays and $700.00 USD on weekends. Prices are per boat, not per person. 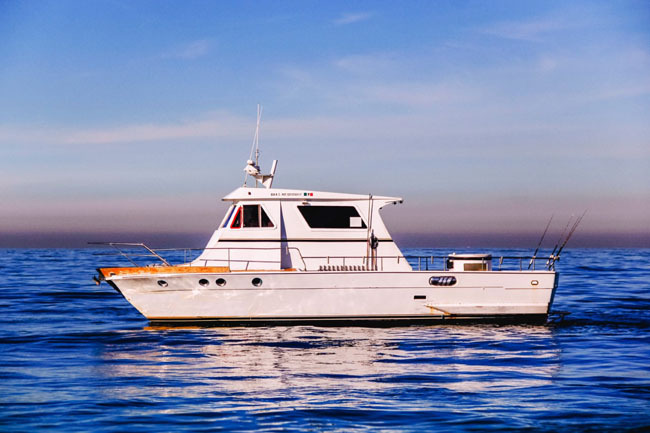 Please take note the following items are NOT included within the basic price: $10.00 USD per person (adults only) mandatory Mexican fishing permit, suggested gratuity of 10% of basic charter fee to the crew onboard paid directly to them. Our package doesn’t include food or drinks for this matter there’re convenience stores very close to our location from which you can buy any items that you need we do provide ice chest onboard and free ice for your drinks. You need to know that due to regulations from the cruise ship industry you aren’t allowed to take your fish back with you into the ship and currently there isn’t a safe system to ship your catch from Ensenada to the United States. Many clients do take some of the catch to nearby restaurants where you can have your fish prepared delight yourself with a true catch of the day meal. 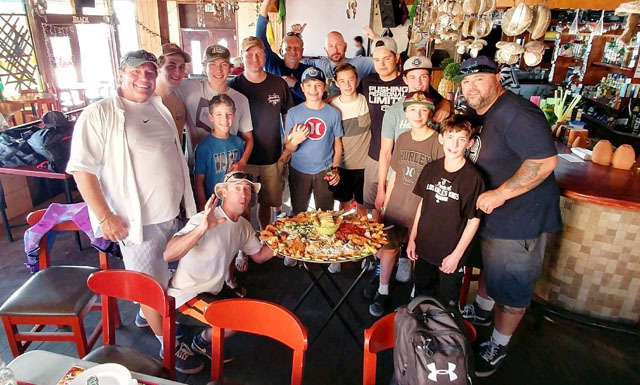 Sergio's Sportfishing is a mandatory trip for our friends, hockey team and family when traveling to Ensenada via cruise ship. The fishing is unreal and costs a fraction of what it does in the USA. When finished fishing take your fresh catch to one of the local restaurants on the dock. If you like to catch and eat fresh fish, Sergio's Sportfishing is the way to go! 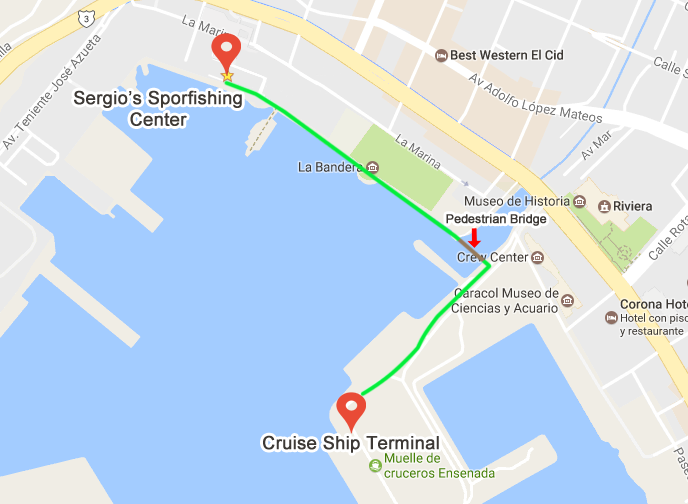 ​Like the nearby cruise ship terminal, the location of Sergio’s Sportfishing Center is along Ensenada’s scenic waterfront. 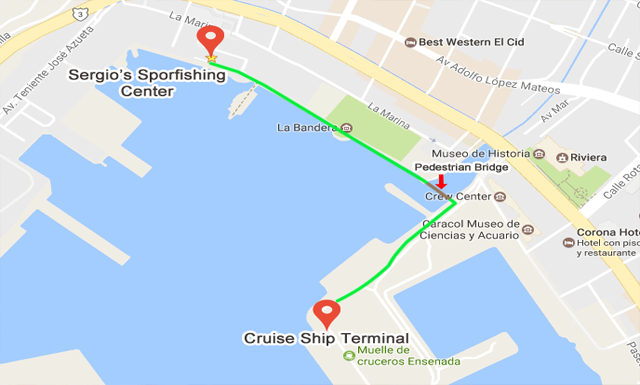 Convenient shuttle transportation from the terminal to our doorstep is available for $2-3.00 USD per person, or enjoy a 20-30 minute walk along the waterfront malecón to our office and dock.